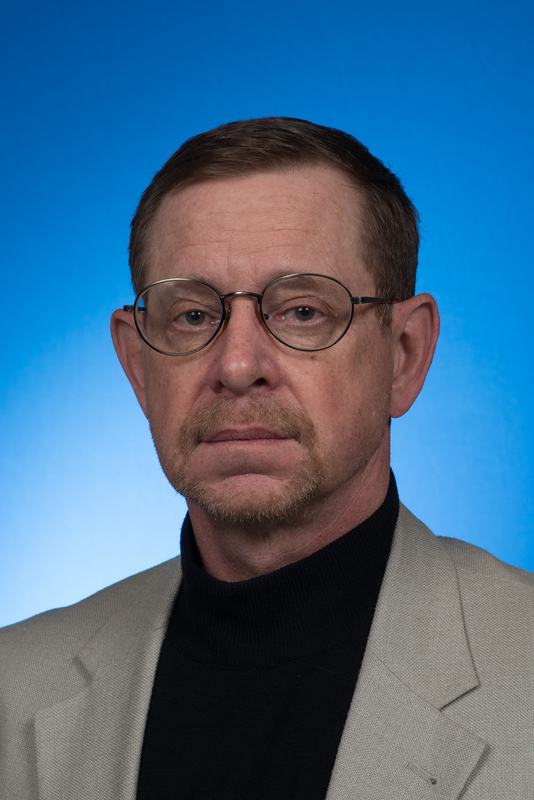 Richard Lotspeich, professor of economics at Indiana State University, has received the 2016 Faculty Distinguished Service Award in recognition of outstanding contributions outside the classroom. Lotspeich was honored during the university's Faculty Recognition Banquet Thursday. "Receiving this honor gives me more confidence in where I choose to focus my work. I had no intention of seeking recognition while engaged in the service activities that eventually led to receiving this honor," Lotspeich said. "What motivated me was the desire to constructively contribute to the administrative functioning of the university while guided by a couple of principles that, in my view, should always inform activities in higher education: adherence to academic freedom, managing the enterprise through shared governance and respect for all individuals involved, as well as for the rules established to govern our interactions. "There have been times over the years when I questioned whether I was using my time in the best way. Often there were no concrete products or evidence that the efforts provided any benefit to anyone. So, I wondered whether it worth it to devote so much energy to these service activities. Receiving this recognition answers that question with a ‘Yes,' and I appreciate it very much." Lotspeich says Helen Suzman inspires his service work at the university, where he tries to emulate her energy and ethics at a local level. "Helen Suzman was a bold and courageous woman who served for decades as a member of South African parliament, most of the time in a precarious opposition role. She contributed constructively to her country's governance, supported the wellbeing of her fellow citizens and was always adamant about following rule of law," he said. "She was just as willing to criticize the black leadership of post-apartheid South Africa as she was to oppose the policies of the apartheid regime, and she did her homework." Lotspeich received his bachelor's degree in economics and Russian from Georgetown University in 1979. He earned a doctorate in economics from the University of New Mexico in 1986 and pursued post-doctoral studies in Soviet economy and comparative economic systems at Indiana University in 1988-89. Lotspeich joined Indiana State's economics faculty as an assistant professor in 1990. He was promoted to associate professor in 1997 and to full professor in 2008. Lotspeich has taught several times as a visiting professor at universities in St. Petersburg, Russia, and at Liaoning University in Shenyang City, China. He has been a member of the editorial board for the "Journal of Human Trafficking" since 2014, and worked as assistant editor for the "Southwestern Review of Management and Economics," 1982-1983. Lotspeich recalls at least two instances related to his service contributions that were particularly satisfying to him as a professional educator. "One was receiving a complement from a colleague in my department on the extensive revision of our college's "Guidelines for Tenure and Promotion" - to which I had made substantial contributions. It was very satisfying to hear positive feedback from a colleague, who is himself a highly regarded professor/researcher," he said. "The second instance was learning that an administrative procedure that I had helped to devise for my college had been adapted to university policy and incorporated into the university handbook. It was satisfying to learn that the work I had done with several colleagues at the college level was considered to be of sufficient quality as to be adopted for the university."